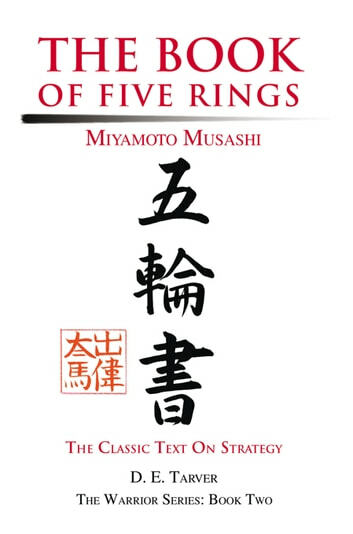 For centuries, The Book of Five Rings has been a resource for gaining insight into the mind of the warrior spirit. The famous Samurai, Miyamoto Musashi, originally wrote the work in 1645. Musashi, the Sword Saint, as he is known in Japan, killed his first man in a duel when he was only thirteen. He went on to fight in over sixty duels and never once lost. 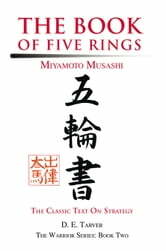 In The Book of Five Rings, Musashi recorded his secrets to success which are applicable to martial arts and any modern situation involving confrontation. Until The Book of Five Rings, the many translations of his original work are written from an academic standpoint because the authors have little with the sword or martial arts. D.E. Tarver brings a lifetime of experience in sword training, martial arts and business to this version, and the result is a highly motivating and easy to understand book. If you are serious about winning in any area of your life, The Book of Five Rings is the definitive guide to victory.